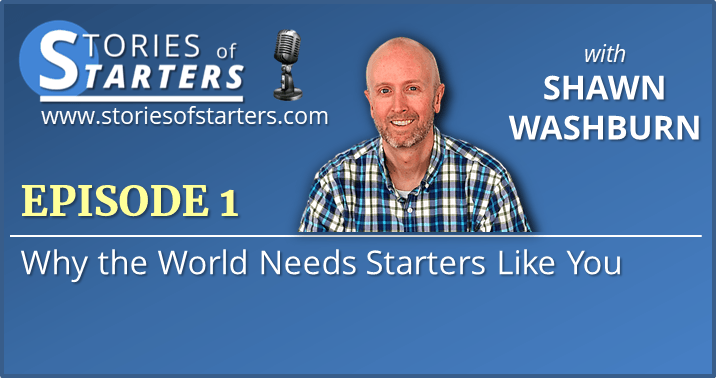 In this first episode of the Stories of Starters Podcast, we introduce the show, talk about what it means to be a Starter, and what’s to come in episodes to follow. My definition of a Starter: someone who has a dream or passion inside and wants to make a difference in the world through that. The “Starting Line” is the line that divides those who are still just thinking about doing something from those who have made the jump and are making a difference with their passion. We need you to start. You have something valuable inside that needs to be shared. Your experiences, passion and story are unique. We need you to do the work and take the steps to change the world around you, to improve our lives and yours. Busyness can keep you from making progress. Set a goal and get others to keep you accountable. Fear can hold you captive. Fear of failure (or even success). Fear of the unknown. Fear of rejection, embarrassment, being too young or too old, not experienced enough. Filter the fear. Some may be legitimate. Count the cost but don’t be held captive. Others are already doing this. Why do we need you? You will bring something unique that only you can provide to the world. Haters will try to take shots at you. They may be jealous or feel challenged. Know that this wouldn’t happen if you didn’t put yourself out there. Do it anyway. 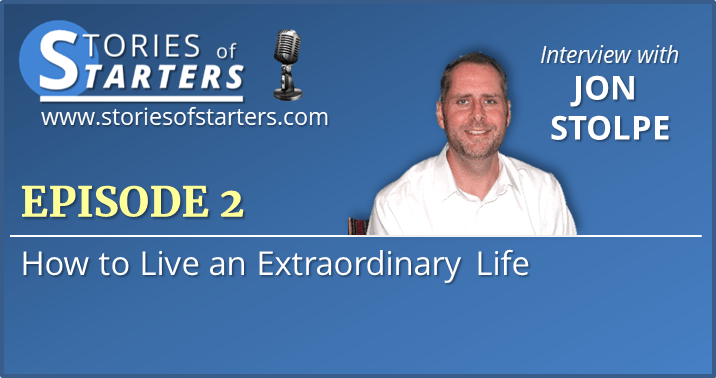 How Will This Podcast Help You Make a Difference? It will Encourage you. It will give you that extra nudge to keep at it, reminding you that your work matters and we need you to push through the rough patches. It will Challenge you. Maybe your dream has been sidelined for years. It’s time to pick it back up and take the next step. 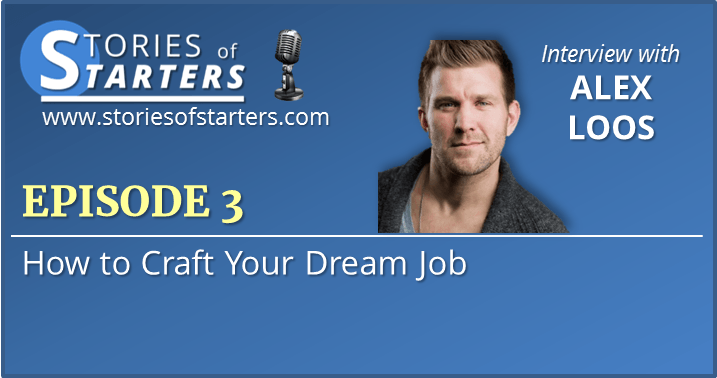 You’ll hear about other Starters and their stories will challenge you to keep going. It will Inspire you. Dreams inspire others. And no two are the same. Each Starter’s story will inspire you with new ideas, help rekindle your passion, and imagine what is possible. What Can You Expect From the Podcast? Join the STORIES OF STARTERS Facebook community here. This is a private group where we can be honest, encourage each other, share wins, and spur each other on. Join us! Your Excel Tutor (www.yourexceltutor.com). This is my other website where you can learn new Excel skills as well as connect with me for help on your own projects.